For the blushing bride that wants nothing short of pure elegance on her wedding day! $7.50 per invitation suite fully assembled, for a set of 100 invitations. $6.50 per invitation suite without assembly. 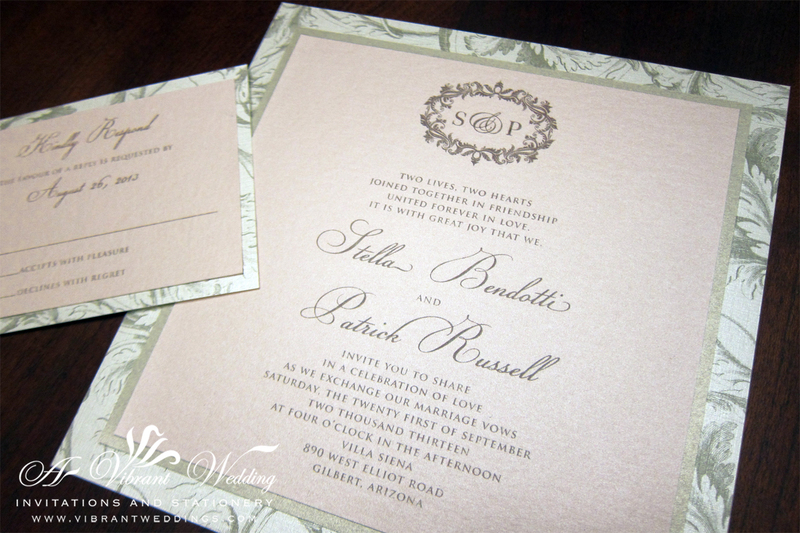 Included are 7×7″ Triple-layered flat invitation and a double-layered RSVP card with two blank metallic envelopes. Printed on a metallic blush pink cardstock paper.